Classic Film and TV Café: What are your holiday movie or TV traditions? Like me, I suspect that many classic film and TV fans have holiday traditions linked to watching certain films and/or TV specials. When I was a teenager, a local TV station would broadcast Holiday Inn on Christmas morning. So, after my family opened presents, Mom would bake blueberry muffins and we'd all settle down for our annual "visit" with Bing and Fred. When my wife and I were dating, we watched White Christmas on TV together. Though we had seen it separately many times, it really clicked with us that night. 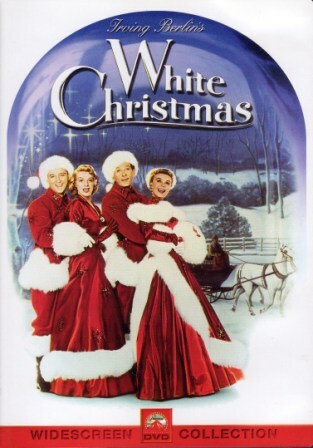 It has since become a Christmas Eve tradition (by the way, the White Christmas DVD features glorious color and comes highly recommended). Christmas Eve just wouldn't be the same without watching White Christmas...though, honestly, if we couldn't see it for some reason, I think we could almost reenact it scene for scene. We also try to squeeze in The Bishop's Wife and Chrsitmas in Connecticut each December. That old reliable favorite, It's a Wonderful Life, has been been overexposed. But I still remember the emotional impact of my first viewing and if I'm channel-surfing when it's on, I often end up watching the rest of the movie. Sometimes, a movie with no holiday connections, can become a seasonal tradition. For many years, my wife and I watched The Ghost and Mrs. Muir on New Year's Eve. There's nothing about New Year in the movie, but there is a magical, timeless quality which somehow made it a perfect way to close out the old year. So, what are your holiday movie or TV traditions? When it was just my wife and I, we started watching "Holiday Inn" on Christmas Eve. We continued to do so when we had kids. We would wrap the presents and put the toys together and watch the movie. Once we had such a hard time getting this one toy assembled, we ended up viewing Bing and Fred at 2 am. We had to keep each other awake! To this day, even though the kids are grown, everyone at our house gathers around the tv on Christmas Eve and watches "Holiday Inn." It's the last thing we do before we go to bed. On Christmas Day we turn on tv and watch "The Christmas Story" all day long. We open presents and talk and eat to: "You'll shoot your eye out!" and "I triple-dog dare you!" What a great film! My tradition also includes A CHRISTMAS STORY, though I usually watch my VHS or, more recently, my DVD. My sister used to watch it with me, but she hasn't for the last few years, so I've had a Bob Clark double feature of said classic and his equally good BLACK CHRISTMAS. Before I was married, my wife had her own tradition of watching the "Christmas Crackers" episode of one of her favorite series, ARE YOU BEING SERVED? I've since joined her in this tradition, and we've occasionally added episodes of other series, like PSYCH. Rick, like you, Holiday Inn and White Christmas are as much a part of Christmas for me as the holly and mistletoe. I love so many of the classic films like The Bishop's Wife and the original Miracle on 34th Street. And of course A Christmas Story is a necessity. But there are two I watch every year that are a little unusual, but a must-see for me. DeMille's The Ten Commandments is one. It actually has nothing to do with Christmas, and I don't know why it came to be a favorite for the season, but at least it is religious! The other one is Chevy Chase in Christmas Vacation. I have rarely laughed as hard as I did when I first saw this movie, and I still do. It's a little piece of good comedy to go with the sweet and the sacred. Merry Christmas to everyone! Rick, my husband and I always watch Christmas Vacation with Chevy Chase. I agree with Becky. It is so funny and has good Christmas meanings. We also watch our children's videos when they visited Santa when they were little. We all enjoy those and my children would laugh and say I can't believe I wanted that toy or look at me screaming my head off in Santa's lap! !..always makes me laugh. Anon, I remember my husband and I staying up until 3:00 a.m. putting a tricycle together. My husband finished and looked at me and said, "now I have to eat Santa's cookies." Sark, Black Christmas would indeed be a great Christmas movie too. I am a big Keir Dullea fan! I absolutely must watch It's a Wonderful Life, March of the Wooden Soldiers, & Miracle on 34th Street to get the season started. I also love to watch Since You Went Away and The Bells of St Mary's at some point during the season. But TV classics are also important. Christmas Eve with Loretta Young geys me teary eyed every time. But honestly, it just isn't Christmas unless I've watched Rankin/Bass classics Santa Claus is Comin' to Town & The Year without a Santa Claus. I still sing along especially with the Heat Miser and Snow Miser songs! When my son was growing up, every year for as long as I can remember, we watched the Wizard of OZ and Gone with the Wind, during the time between Thanksgiving and Christmas. 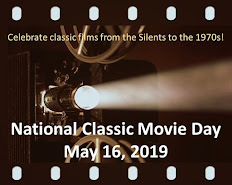 In our family, we love the wonderful of movies made in 1930's. As they say, they just don't make movies like that anymore. It is hard to imagine that even after over the decades of watching these movies every Christmas. We still sing along with the songs and say the lines as if they are our own. It was fun to read about all the favorites. In my family, we have tons. Decorate the tree with "Rudolph" on TV every year. There's the "Charlie Brown Christmas" special. "The Bishop's Wife" is a must. 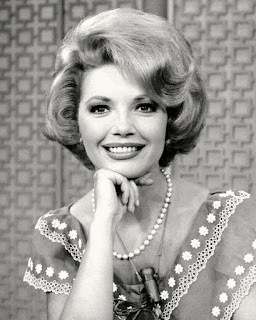 There is Cary and David for the girls and Loretta for the guys. That makes it work in my family! One year, we ate Christmas dinner at our favorite Oriental restaurant in honor of "Christmas Story." Aki, I can't believe I forgot to mention it, but I watch CHRISTMAS VACATION, too! Keep an eye out for "Holiday Baggage" written/directed by Stephen Polk, airing on Monday, December 20th, at 5pm on Lifetime. For Thanksgiving I always watch Miracle on 34th Street. I get up, fix some breakfast and watch it. I also get the feeling that I am watching the Macy's Parade at the same time. I actually try to watch while the actual parade is on. The film is my official start to the Christmas season. RE Christmas, I must watch A Christmas Carol (Reg Owen) and Scrooge with Alistair Sim. It doesn't matter when but I pretty much have to watch Scrooge on Christmas Eve. After that,in no particular order/schedule it's Bells of St Mary's, Going My Way,The Bishop's Wife, It Happened on 5th Ave, White Christmas and How the Grinch Stole Christmas and of course A Charlie Brown Christmas. I also like the one where Fred MacMurray takes Barbara Stanwyck back home for Christmas. I forgot the name. I love me some Beulah Bondi. Great choices all! The Fred-Barbara movie is REMEMBER THE NIGHT.